I am having trouble with one of our edit controls in WM 22 not limited the character count even though in the describing an edit control box, the "input size (characters):" is set to 200. It seems to be allowing an unlimited number of characters to be typed in and causing data to be submitted with the comments being cut off. Not quite sure why this isn't working properly - not even sure it has worked right from the beginning! Any help would be appreciated. Hi. 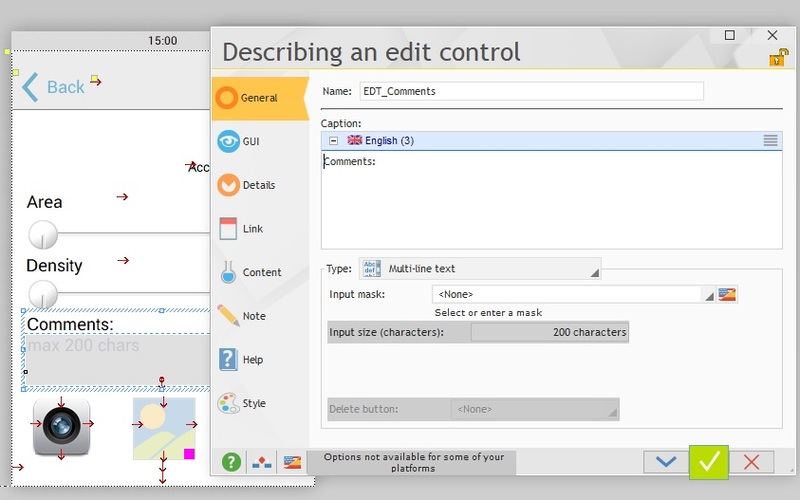 If you look at that option has a gray background, so it is not available for any of the configurations of your project. Hi Rubén, so it has to be configured within the code of that window even though it allows me to edit the number in that box? Maybe you can try code.